Welcome to RUN RIO RUN! Watch this space for 2013/14 updates on the Gallery and Media pages coming soon - for the most recent news and photos, please follow Rio on Facebook and Twitter! Rio is a fun-loving 5 year old with a passion for the Paralympics! He was born with a very rare bone deficiency in his lower right leg (Tibial Aplasia), so he was missing the tibia, knee and ankle joint. We were told when Rio was 5 days old that he would need a through-knee amputation at 10-12 months. 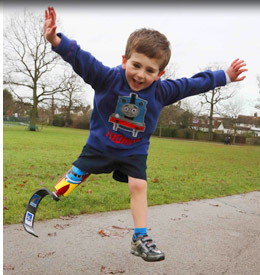 We have set up this website as part of our fundraising campaign to provide Rio's future prosthetic legs as he grows, so that he can continue to run, hop, skip, jump and dance with his friends, and for his fans around the world to follow his progress and adventures in pursuit of his Paralympic dreams - roll on 2024! 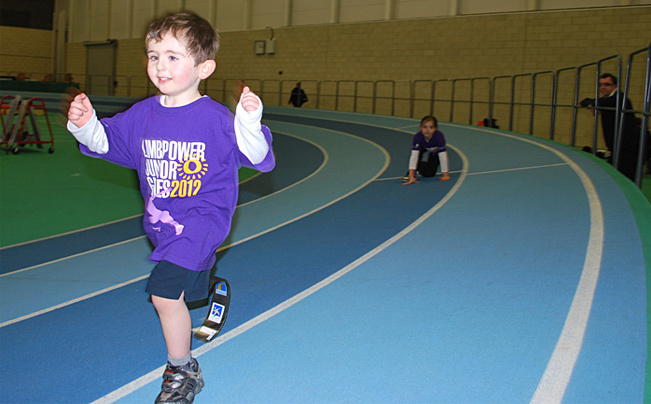 If you would like to be part of the London 2012 Legacy and inspire a generation, you can donate to our "RUN RIO RUN" appeal and help Rio to keep that new spring in his step so that he can run like the wind! Rio's story has been covered extensively in the media. To read all about it CLICK HERE.